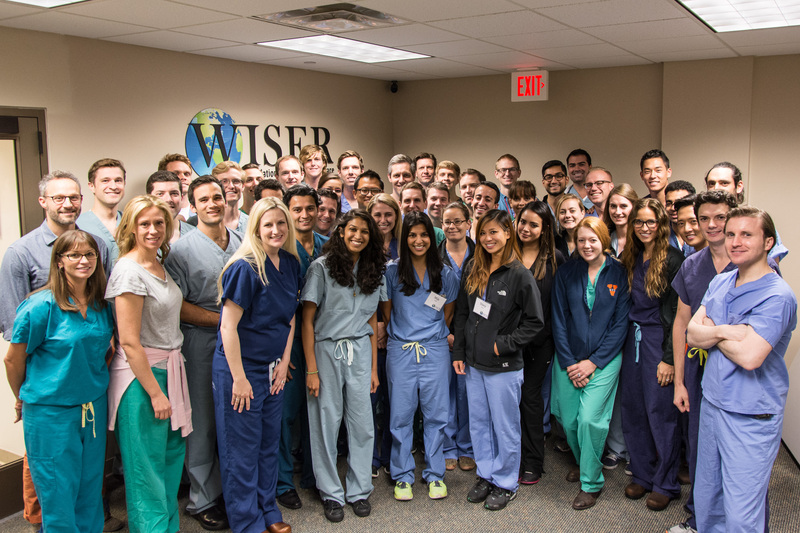 The University Of Pittsburgh Department Of Plastic Surgery hosted the American Council of Academic Plastic Surgeons sponsored Plastic Surgery Boot Camp for three day at WISER beginning Friday, July 31st to Sunday, August 2nd. Over for 40 participants from twenty-two institutions across the United States attended this inaugural program. The program was developed in response to the ongoing changes in graduate medical education. To introduce first-year Plastic Surgery residents, in both the Integrated and Independent tracks, to core concepts in Plastic Surgery. To provide standardized and timely exposure to fundamental clinical content in Plastic Surgery. To provide practical, clinically relevant experience and insight into these core topics and procedures. To establish a collegial, collaborative, and supportive educational environment that fosters learning, as well as the opportunity for dynamic interaction between residents and instructors. To establish a sense of camaraderie, to foster and build relationships, and to engender professional enculturation amongst boot camp participants and with our specialty. Participants for the boot camp were broken up into groups to learn about a variety of different Plastic Surgery scenarios from breast augmentation to casting and splinting hand wounds, Craniofacial injuries, suturing wounds from bed sores and rhinoplasty. The boot camp was an overwhelming success across the board and WISER looks forward to hosting this event next year. Participants of the Plastic Surgery Boot Camp. 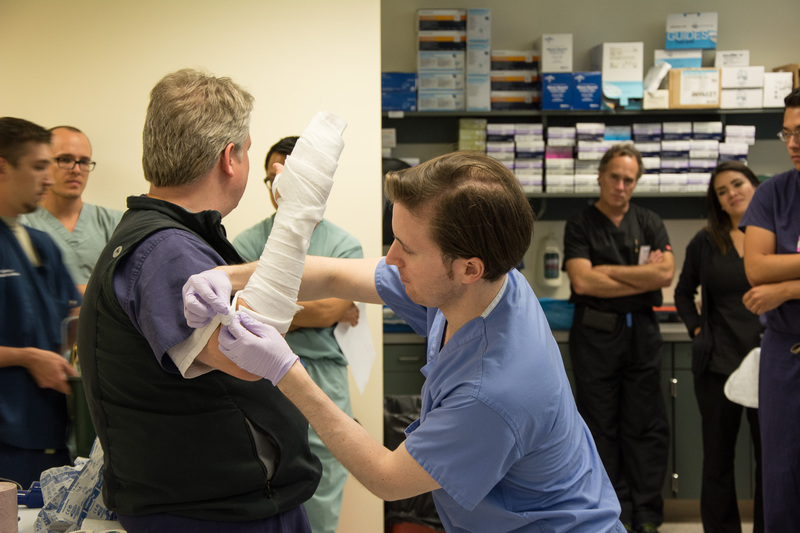 Dr. Davison demonstrates to participants how to cast an arm. 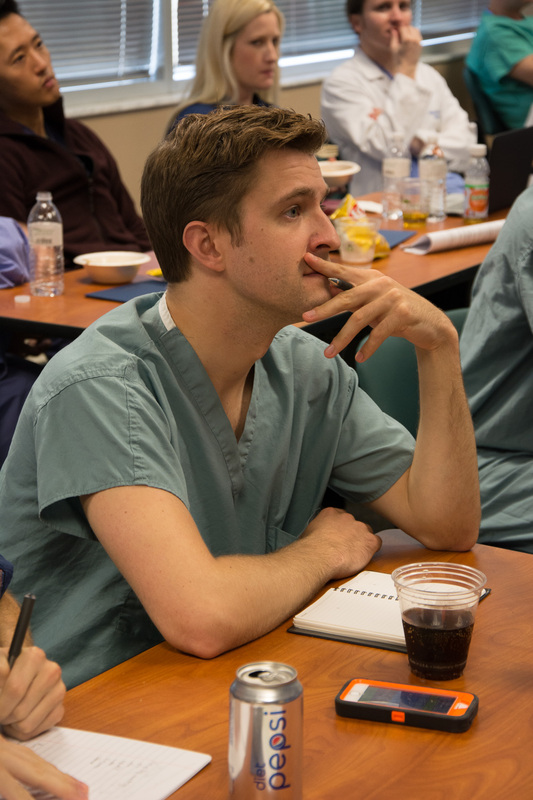 A student listens to a lecture about suturing wounds from bed sores. 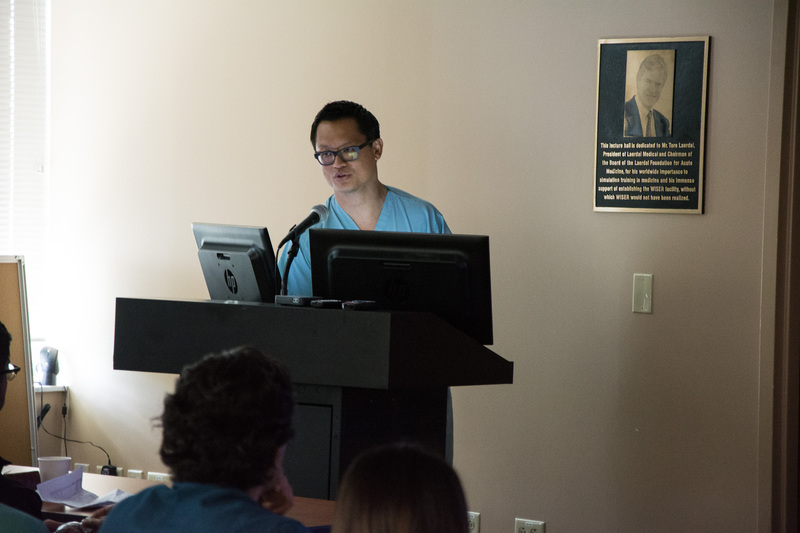 Dr. Nguyen gives opening remarks for the American Council of Academic Plastic Surgeons Plastic Surgery Boot Camp.